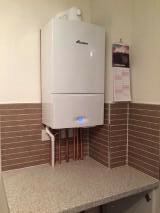 Need a new boiler in Edinburgh? Get FREE no-obligation quotes now! 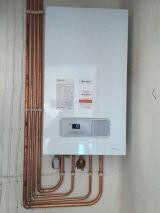 New Town Heating Ltd supply and install gas boilers. For similar replacement boiler companies in this area please visit the Edinburgh boiler page. With over fifteen year’s experience, New Town Heating provides plumbing and heating services in, and around, the Edinburgh area. We pride ourselves on our reliability and professionalism, whilst still maintaining highly competitive prices for our customers. All our engineers are fully ‘GAS SAFE’ registered. We are highly skilled and trained far beyond industry standard. Our professionalism and passion for what we do, ensures we are continually abreast of developments and updates within the industry- ensuring best practice is maintained consistently. When deciding to have any form of gas work carried out it is important to know you are in safe hands. Ensuring your boiler or appliances are fitted, and maintained, by ‘GAS SAFE’ registered engineers is essential in ensuring your safety and wellbeing. Our engineers are British Gas trained. Not only do we provide a professional, reliable service but our prices are highly competitive- we provide free, no obligation quotations. Boiler replacements starting from £1500.